Yay! I've created my first Etsy treasury ! Totally wedding dedicated. 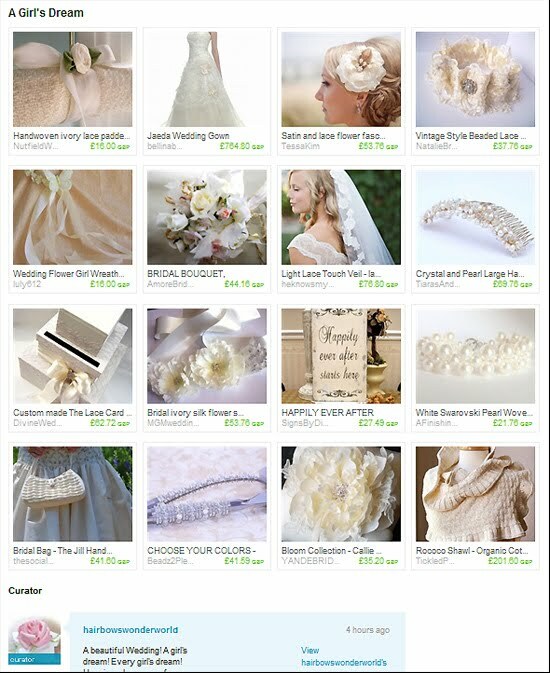 You can see it live here : http://www.etsy.com/treasury/4cb842edd6726d9197d03d75/a-girls-dream , with many gorgeous items from the talented Etsy Wedding Team's members. I'd appreciate so much any click and commen :) Thank you!!!! !